Zopo Color F1 India launch brings out a new sensation in the form of a fingerprint sensor. It is a complete package in itself. Go enjoy your selfies. 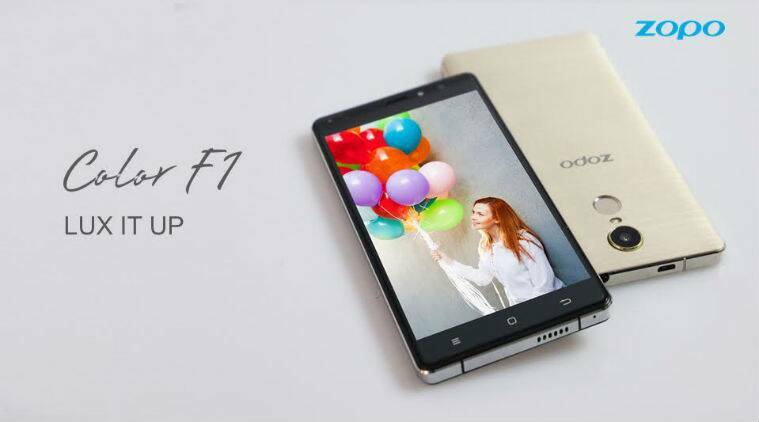 Zopo, the Chinese mobile manufacturer has launched their new model of smartphone named Color F1 on the Indian market. The Zopo Color F1 India launch took place on 14th of September. The introductory price of the device is Rs. 8,890. Gold, Black and White are the three different color variants of this device. Zopo had launched the Zopo Color C3 phone on the Indian market in July this year. The phone was a member of the Color family and comes with an HD display. The phone being an affordable one offers a variety of specifications. The most interesting attribute of this phone is the fingerprint scanner. With this component, customers can control and utilize this device on various options or features available within it. Features include Multi- Account Application, App Lock, Camera, Gallery, Barcode/QR code scanner, etc. In short, capture a selfie easily with the help of the fingerprint scanner. Other specifications include a Dual SIM processor; 5.5 – inch 720×1280 pixel resolution HD IPS screen with 2.5D curved glass; MT6580 quad-core CPU, accompanied by 1GB of RAM; front and back LED flash; 8MP auto-focus rear camera and a 2MP front camera; and battery life of 2300 mAh. The smartphone has a native storage of 16GB which can be expanded through MicroSD Card up to 64GB. Zopo Color F1 is an Android 6.0 Marshmallow based smartphone. According to the company reports, Color F1 has a few special features which include “two social accounts”. This means that the device is capable of supporting two accounts simultaneously. Features like 3G, GPS, GPRS/EDGE, Wi-Fi, FM and Bluetooth v4.0 and are all enabled. The device falls in the budget segment and is capable of taking on the other phones in the segment. What do you think about the Zopo Color F1 India launch? Are you buying this smartphone?